Julie Andrijeski, violinist, maintains an active performance schedule, playing with many diverse early music groups across the nation, including as Artistic Director of the Atlanta Baroque Orchestra, Concertmaster of New York State Baroque, Co-Director of Quicksilver, Principal Player with Apollo’s Fire, and as a member of Les Délices, the Boston Early Music Festival Orchestra, and The King’s Noyse. On the Music Department faculty at Case Western Reserve University, Ms. Andrijeski leads classes in historical performance practices, teaches lessons in baroque violin, and directs the baroque orchestra, chamber, and dance ensembles. Her combined skills in music and dance often culminate in workshops and special teaching engagements at colleges and universities such as the Oberlin Conservatory, Indiana University, Juilliard, the University of Southern California, and the University of Colorado at Boulder. 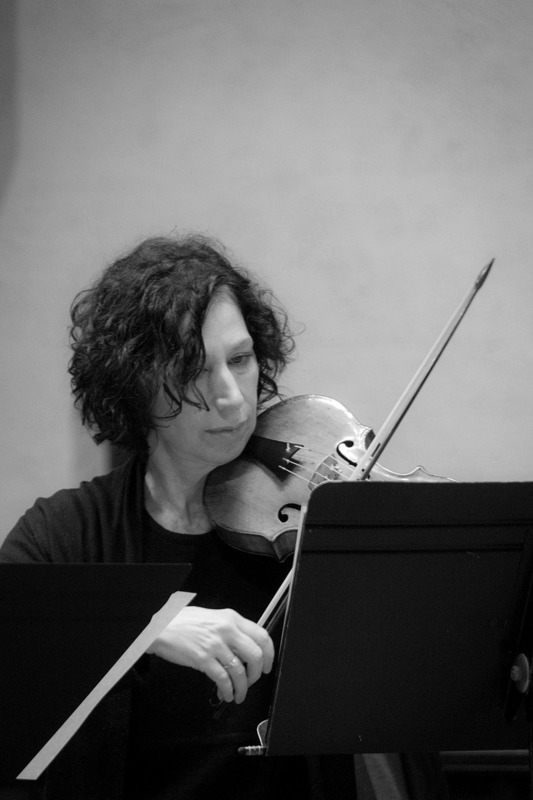 During the summers, Ms. Andrijeski teaches both violin and dance at several festivals including those in Oberlin (the Baroque Performance Institute), Madison (the Madison Early Music Festival), Winston-Salem (the Magnolia Festival and Workshop) and Vancouver, BC (the Baroque Instrumental Programme and the Vancouver Early Music Festival). Her recordings can be found on Acis Productions (with Quicksilver), Dorian Recordings (with Chatham Baroque), Centaur (with Cecilia’s Circle and The Publick Musick), cpo (with the Boston Early Music Festival Orchestra), Avie (with Apollo’s Fire), and Musica Omnia (with the Boston Bach Ensemble).